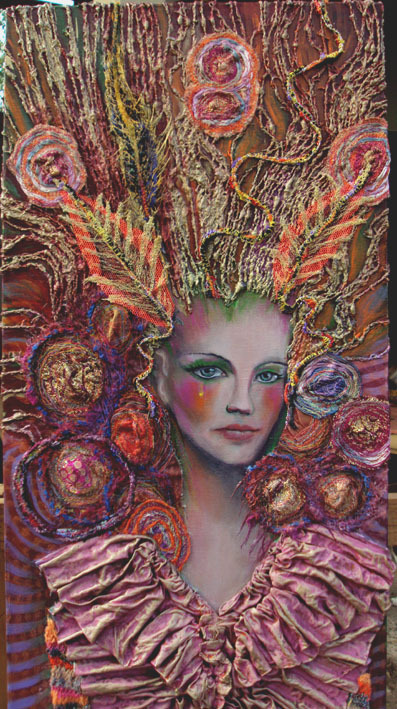 This is "Gold Hair" a mixed media work from 2011. About 35cm x 1m on the stretcher. 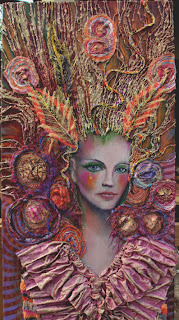 Acrylic paint, fabric, fiber, yarn. The blouse is fabric stiffened with Paverpol and painted with gesso, acrylic paint with gold metallic paint highlighting.